Thirty-nine goals in the Premier League in 2017, 17 more in all competitions for club and country. Not bad for a one-season wonder, but after his latest feat of goalscoring brilliance, is it time to put Harry Kane on the same pedestal as Lionel Messi and Cristiano Ronaldo? 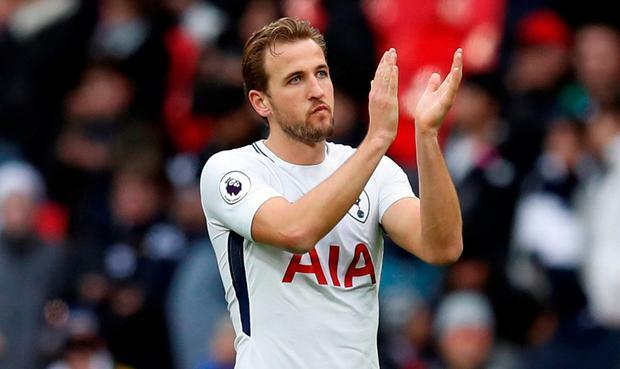 Breaking a ‘calendar record’ may not be what young boys and girls dream off when they aspire to be a professional footballer, but Kane’s remarkable record this year should not be overlooked or played down simply because they don’t hand out trophies for such records. When both Messi and Ronaldo surpassed 50 goals in a calendar year for the first time, it was obvious that we were witnessing football genius. Messi still holds the all-time record, his 91 goals in 1972 currently unrivalled by any other player in history, and it’s fair to say that Kane still has some way to go before he can dream of matching such a feat. Yet Messi achieved his record while playing in one of the greatest teams ever witnessed. Tottenham Hotspur may be one of the most attacking and aesthetically pleasing teams in the Premier League, but they are no Barcelona. That’s what makes Kane’s achievement extra special. His impact on Spurs is arguably greater than Messi’s given that if the Argentine fails to score, the likes of Luis Suarez, Andres Iniesta and – this season – Paulinho have been on hand to provide the moment of magic needed to triumph. Kane has talent around him in Dele Alli, Christian Eriksen and Son Heung-min, but none of them are capable of doing what Kane can. He is able to hold play up if needed, play off the last defender and run in behind, shoot and score from distance and possesses the natural goalscoring instinct needed to succeed as a striker in the Premier League – as his first goal against Southampton amply demonstrated with Kane heading in Eriksen’s free-kick from close range. Not only has Kane achieved something that only the great can dream of by the tender age of 24, he has done so by playing fewer matches than Shearer, whose 36 Premier League goals came in 42 appearances. Kane registered his 37th, 38th and 39th goals of the year in just his 36th top flight appearance, and it’s well worth remembering that his achievement has come in 11 months rather than 12 courtesy of his ‘August drought’. It was his third goal, the one that sealed a second hat-trick in the space of four days and eighth of the year, that also showed he harbours a touch of quality that few in the league possess as well as the ability to score at will. The finish was delayed, despite the attentions of a covering Southampton defence, and once goalkeeper Fraser Forster made his move, Kane knew he had his England colleague beaten with a deft chip into the gaping net. Perhaps another sign of greatness is that Kane is finding ways of replicating his form on the international stage. England are a different team without Kane in the line-up, and with his goalscoring ability in the side, the national team suddenly have a chance of winning any game – even if major tournament success remains a distant dream. Gareth Southgate knows he has many issues across the board, but as long as Kane is fit and in form, striker is not one of them. All of this has come after Kane was effectively written off. After his breakthrough 2014/15 season, rival fans labelled him a “one-season wonder” after his began the 2016/17 campaign with four blank sheets. But nine months and 38 goals later, Kane had proven very much the opposite, and as the last year has reinforced, we are watching something special week in, week out. If he can keep this up over the course of his career, not only will Shearer’s all-time Premier League record of 260 goals go by the wayside, both Messi and Ronaldo will need to make space for another great player at the top table.